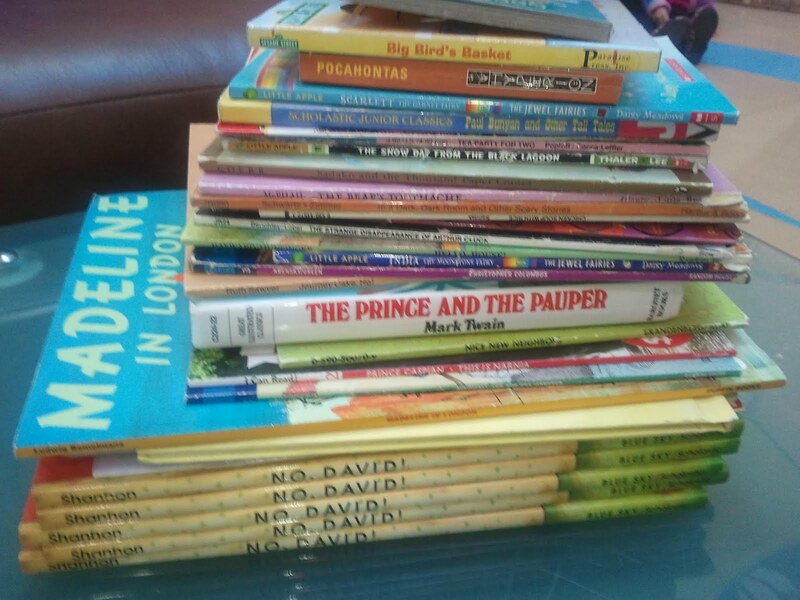 Montebello Mom: Trade in your Used Books & other Media for Cash! Used Books from a Library Sale. 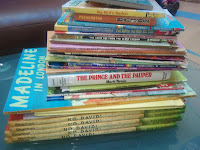 My kids do a lot of reading. I like to buy discounted children's books at library sales, yard sales, and through Scholastic Club Warehouse Sales. The past few years I've traded in my books for credit at the Dollar Book Fair at the Shops at Montebello mall. I had a pile of 20 children's books from a recent kid-room clean out and I took them over to Half Off Books, a used book store in Uptown Whittier. I was given $4 cash for the sale which is equivalent to the amount of credit I would have received at Dollar Book Fair. I like the idea of getting cash for my books, but just like in Vegas, I should have quit while I was ahead. I ended up buying $6 worth of books to take home, leaving me down $2! My kids loved what I picked up for them though, so I thought it was worth the drive. 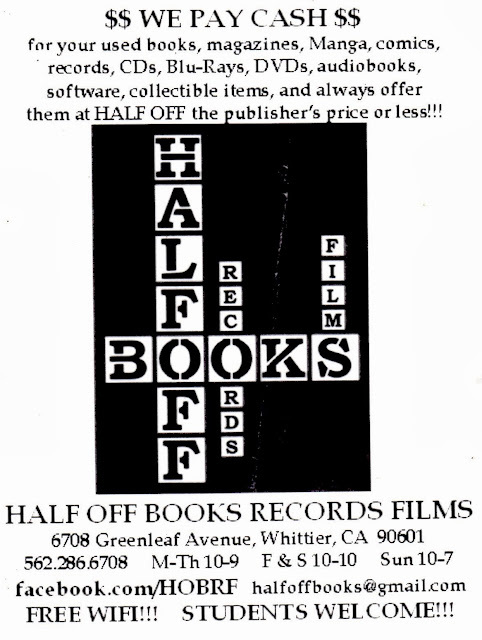 "Half Off Books Records Films pays cash for books, magazines, Manga, comics, records, CDs, Blu-Rays, DVDs, audiobooks, software, collectible items, textbooks, and anything else printed or recorded except newspapers, and we always offer these products at half off the published retail price or less!! Teachers and Librarians will always receive discounts, and Half Off Books will regularly support and donate to local schools and hospitals. We will also actively support eco-friendly causes."